People sometimes end up owning real estate and other property because the original owner has given that property to them...but they don't particularly want it. They'd rather have the cash so they decide to sell the gift. Transfers of property given before the original owner dies are gifts, not bequests. Recipients of gift property have different tax consequences than recipients of inherited property if they decide to sell. First, the Internal Revenue Service does not consider gifts to be income even if the gift is cash. Your wealthy grandmother can give you artwork worth $1 million and you won't owe the IRS a dime of income tax on it. You won't owe a gift tax, either—although your grandmother might and you would, too, if you decided to give the gift away or if you sold it for significantly less than its fair market value. The recipient does not pay taxes or report income when gift property is received but the donor of the property must report it and possibly pay a gift tax subject to certain available exemptions. His generosity is taxable...to him. An annual exclusion and a lifetime exemption are both available to the donor, however, potentially erasing any tax burden. As of 2019, you can give away $15,000 per year in cash or property to any individual and this won't incur a gift tax. If you want to give more than that per person per year, you can either pay the gift tax in that tax year or you can "charge" it to your lifetime exemption. The lifetime exemption is $11.4 million as of 2019. That's a lot of gifts. It's gradually reduced by each gift you give over $15,000 per person per year. Anything left over would protect your estate from paying an estate tax when you die, assuming your estate's value is equal to or less than the remaining lifetime exemption. If you sold that artwork valued at $1 million for $500,000, the IRS considers that you gave a gift worth $500,000 to the buyer. That's $485,000 more than your annual exclusion so you'd either have to pay the gift tax on that or subtract the $485,000 from your $11.4 million lifetime exemption. That said, what happens if you decide to sell the gift at fair market value? Now you must report the capital gain or loss and possibly pay capital gains tax if you realize a gain. Capital gains or losses on property received as a gift are calculated according to the original owner's cost basis in the property. 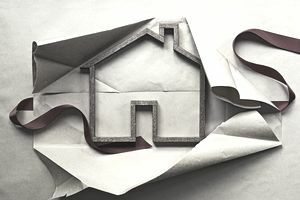 If you were to inherit the property instead—the original owner decided to wait until his death to pass it on to you—its cost basis would be "stepped up" to the date of his death. This can make a big difference. The basis of gift property is what the original owner paid for the property plus or minus any adjustments. Typical adjustments that increase basis are substantial repairs and improvements along with any expenses for selling the property, such as broker's commissions. Typical adjustments that reduce basis are depreciation that the previous owner might have claimed for renting out the property. This is passed to the new owner as well. The recipient's gain or loss on the gift property will be the selling price minus this adjusted cost basis. Here's an example. Your parent transfers his $300,000 house to you before his death. He paid $80,000 for it 30 years ago and made $40,000 worth of improvements to it over the years. He never claimed any depreciation on the property. Your cost basis is $120,000—$80,000 plus $40,000. If you sell the property for $300,000, you've realized a $180,000 capital gain. If your parent transfers his home to you as part of his estate plan after his death, the situation is much different because of that step-up in basis. If it's worth $300,000 at his death and you sell it for $300,000, there's no capital gain to be taxed. You get $300,000 in either case, but in the second scenario, you won't have to give any of it to the IRS. The recipient also receives the donor's holding period in the property for determining whether a gain is long term or short term. If the donor held the property for one year or less, it's a short-term gain. If he held it for longer than year, it's a long-term gain. An inheritance is always a long-term capital gain upon sale regardless of how long the donor owned it. This is also an important distinction because it determines the rate at which your capital gain is taxed. A short-term gain is taxed as ordinary income according to your tax bracket. The rates for long-term gains are zero percent, 15 percent, and 20 percent as of 2019. You wouldn't have to pay the 20 percent rate unless you earn more than $425,801 that year. Most people fall into the 15-percent category. Obviously, long-term gains are better than short-term gains. Suppose you're single and you earn $80,000 a year. You'd pay a 15 percent long-term capital gains tax but 22 percent if the gain were short term and you were taxed according to your tax bracket. Ask the donor to provide you with the cost basis of the property and to let you know the date he or she originally purchased the property. Try to obtain a copy of an escrow statement to document the amount and date of the purchase. You'll also want to get an estimate of the fair market value of the property on the date of the gift transfer because sometimes the market value comes into play with gain or loss calculation. This can be as simple as arranging for an appraisal. If you received real property as a gift, consider living in the property for at least two years before selling it. This can help make you eligible for a capital gains exclusion of up to $250,000 on the sale of a primary residence if you're single, and double that amount if you're married and file a joint return. If the property is being rented out, consider a Section 1031 exchange to defer the tax.